Okay, so who knew this was a holiday? I just found out last year because that's when #projectjellyroll first made this holiday. We like a good party here at the shop, so Saturday is a party! 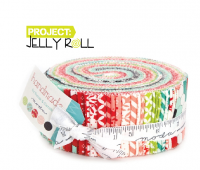 We will feature 20% off Jelly Rolls, & free pattern with Jelly Roll purchase. We will be having OPEN sewing from 12-5 here in our classroom area. This will be FREE but space is limited (we can do 4-5 comfortably, 6-8 if we squeeze). There will be treats too. We have some individual Jelly Roll strips- make your own jelly roll, and we have some jelly roll scrap bags available too. 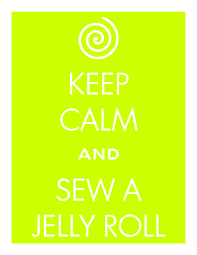 If you sew here Saturday and complete a Jelly Roll project- you can be entered for a PRIZE drawing. Please check out our facebook page to watch the LIVE video we did today and comment for a chance for a prize. There's also a trivia question in the video for another chance at the prize! Share the video and get another chance at the prize. Prize is non-transferrable and must be picked up in store (we cannot mail it).